You are here: Home / Digital Crafting / Cricut / Cricut Christmas Ornament Projects – Holiday Fun! 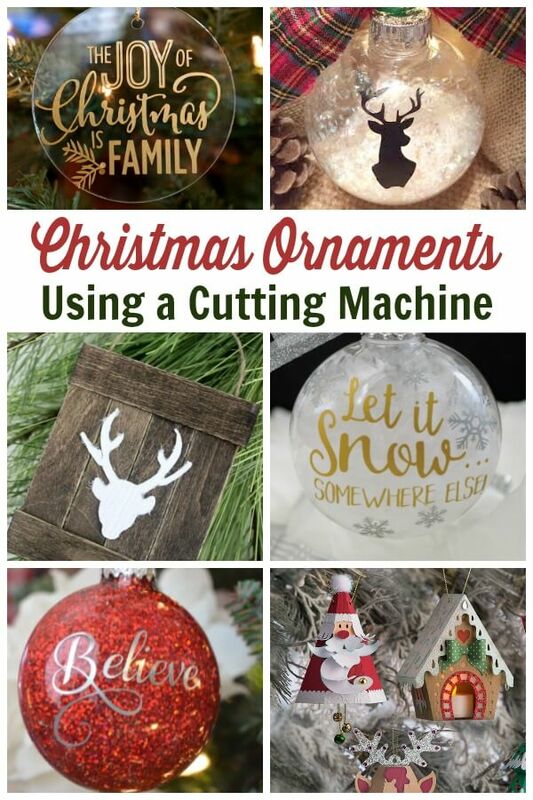 Cricut Christmas Ornament Projects – Holiday Fun! 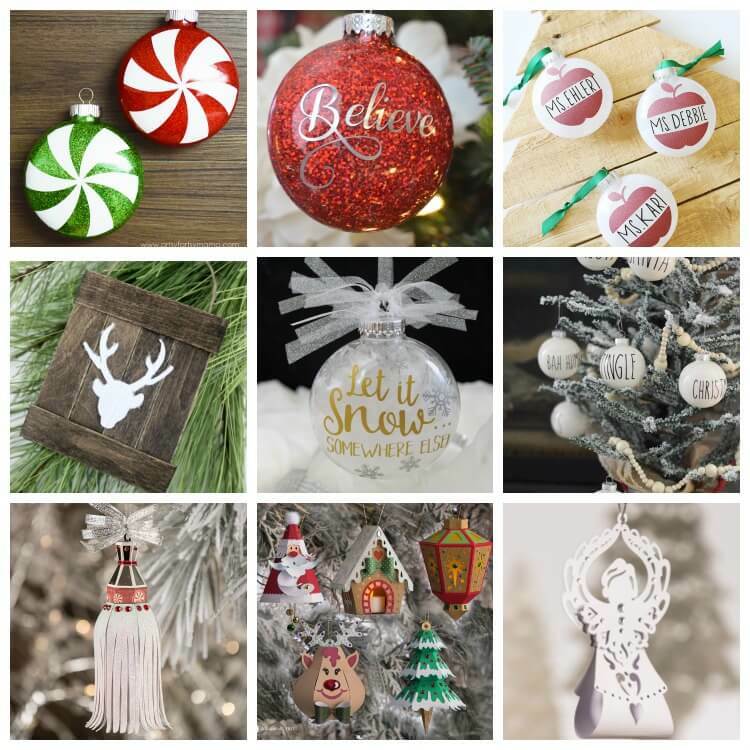 These Cricut Christmas ornaments projects are the perfect small projects to start your holiday crafting. Get the cut files and tutorials here! We are no stranger to Christmas craft ideas here on Ruffles and Rain Boots. From our DIY Bath and Beauty gifts to beginner sewing gift ideas, we love to craft for the holidays. This year, I am changing up the themes I rotate through each holiday season and looked for inspiration in ornaments. And because I’m absolutely addicted to my new favorite cutting machine, I thought to share my inspiration with you. Click on through to each project for the cut files and tutorials! 1 – This sweet holiday sentiment ornament would be a great gift idea for neighbors and friends. 2 – If you’re working with a rustic or farmhouse these in your holiday decor this year, whip up this deer head ornament in just minutes. 3 – I really like this deer pallet ornament – and it’s so easy to make. 4 – Know anyone with a sense of humor and a lot of snow? 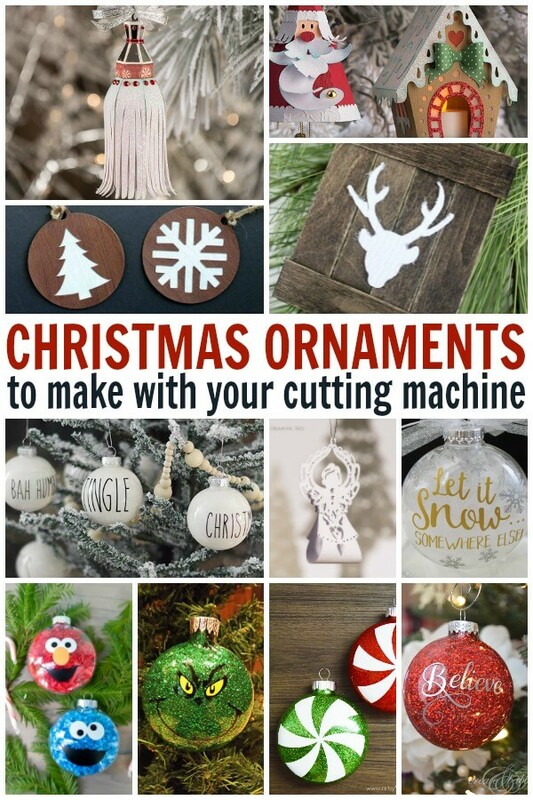 This Let It Snow Cricut Christmas ornament is perfect for them! 5 – Glitter is always great for ornaments. Bring on the sparkle ornaments! 6 – These are amazing! 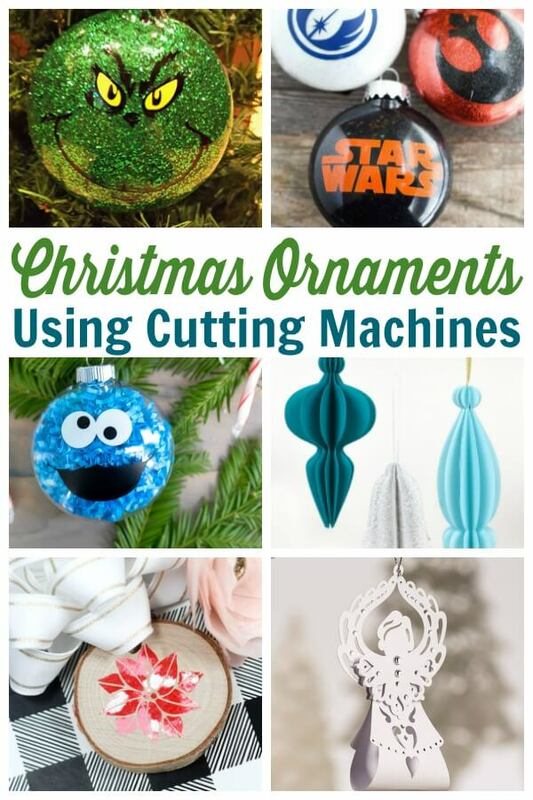 I have added these 3D Christmas ornaments to my list of ornaments to make for the small tree. 7 – I think everyone needs a Grinch ornament in their lives. 8 – Anyone else singing the theme song? These Star Wars ornaments are pretty awesome. 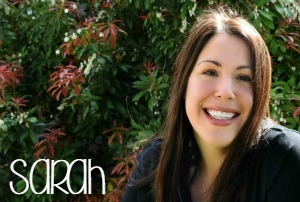 9 – Do you have a kid’s tree in your house during the holidays? These Sesame Street ornaments would be perfect! 10 – These paper ornaments remind me of a mid-century modern Christmas. Hello, Mad Men. 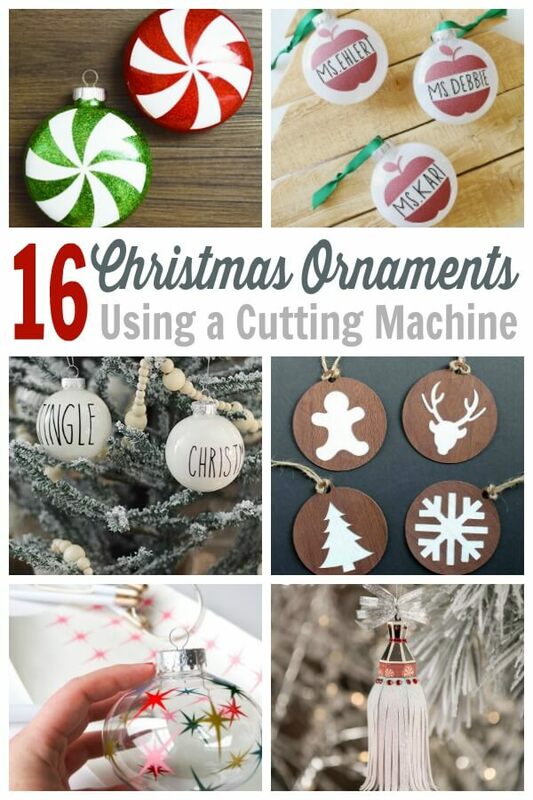 11 – These gorgeous wood slice ornaments make me swoon. Swoon, I tell you. 12 – Another amazing ornament – this one is a 3D angel ornament with a free SVG file! 13 – I’m a sucker for candy during the holidays and these peppermint ornaments are too cute to resist. 14 – We can’t forget the teachers in our holiday crafting which is where these teacher ornaments come in. How cute! 15 – I love simple and these Rae Dunn Christmas ornaments are that, indeed. 16 – Rustic? Check. Adorable? Check. Easy? You be they make these wood grain leather ornaments easy for us! 17 – These star ornaments are another mid-century modern design I love (and fast to put together, too)! 18 – I love tassels on anything and these Christmas tassel ornaments are gorgeous.